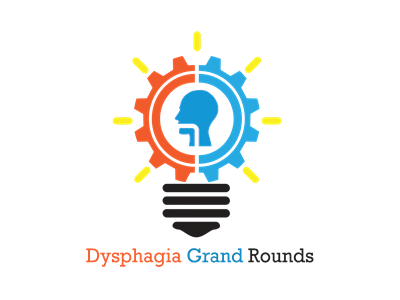 Welcome to Dysphagia Grand Rounds (www.dysphagiagrandrounds.com). 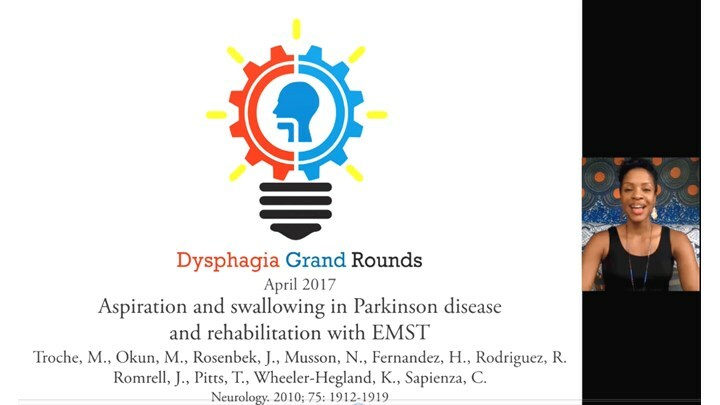 DGR is an online monthly journal club for speech-language pathologists, focusing on swallowing and swallowing disorders . 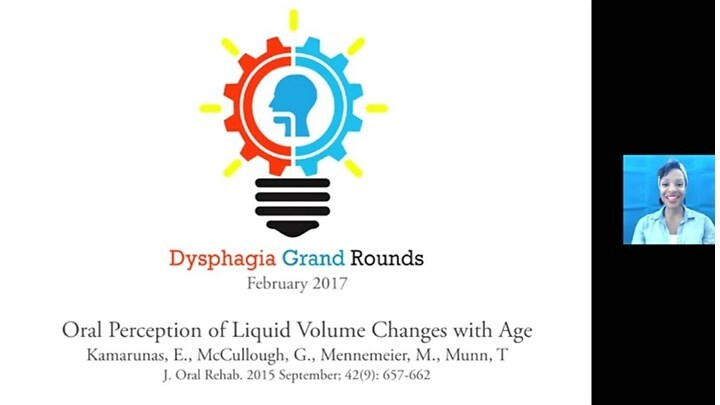 We post one free dysphagia research article each month. Clinicians are encouraged to read the article and then watch a recorded webinar presented by Dr. Ianessa Humbert, where she reviews the research study in detail. 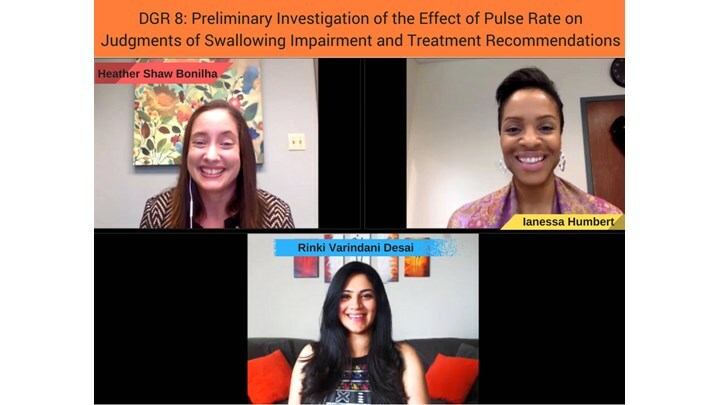 Clinician Rinki Varindani Desai poses questions at the end of each webinar to discuss its clinical implications. 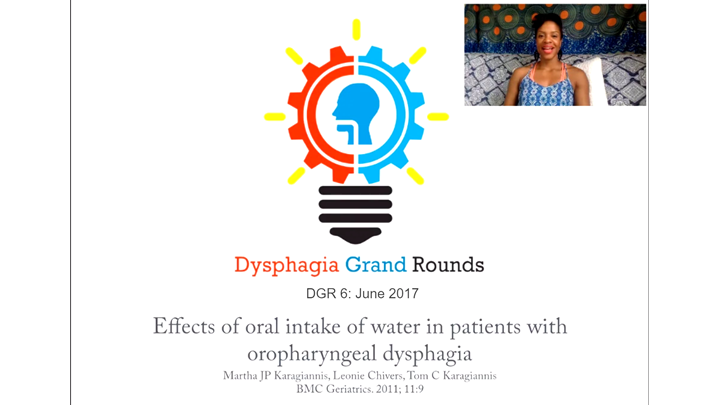 DGR webinars will guide clinicians in learning how to critically appraise dysphagia research literature and integrate it with their clinical practice. Once purchased, the webinars will be added to your DGR Yondo account here under the Courses tab for unlimited viewing, at your own pace. You will receive an email confirmation once you have purchased the course with access details. Thank you for being a part of this endeavor to bridge the research-practice gap in swallowing and swallowing disorders. 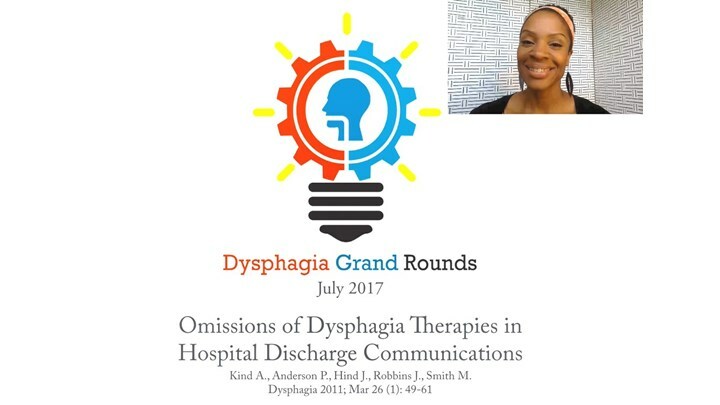 The 2017 DGR CEU Bundle is for clinicians who have subscribed to Dysphagia Grand Rounds webinars to earn ASHA CEUs. 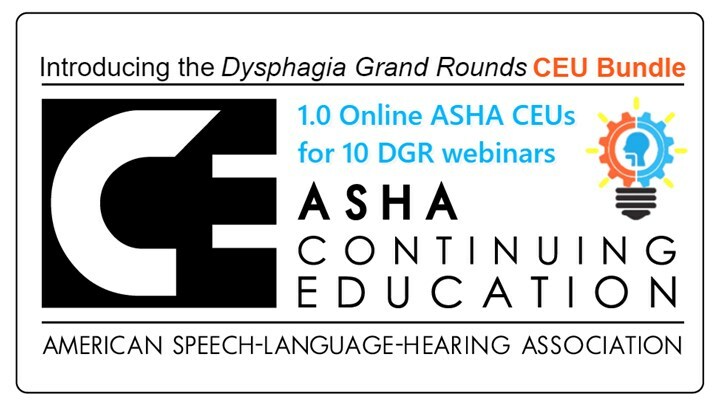 Dysphagia Grand Rounds is partnering with an ASHA-approved CEU provider to make 1.0 CEUs (10 hours of continuing education) available to clinicians in 2017. Once purchased, clinicians will have unlimited access to watch the recorded webinars online at their own pace, anytime. Learning assessment and CEU forms must be submitted just once at the end of the year to earn 1.0 ASHA CEUs. 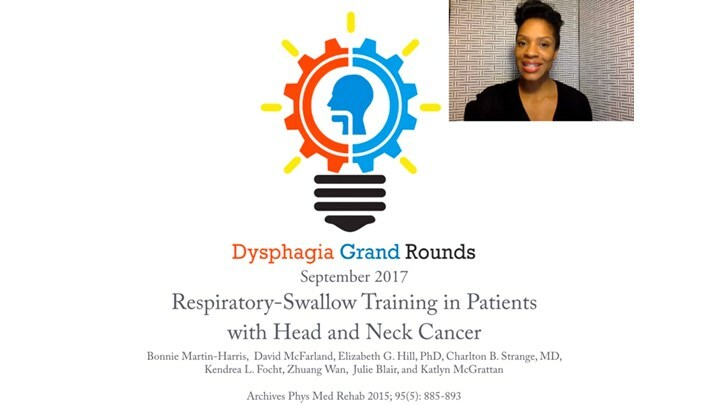 In each webinar, Dr. Ianessa Humbert will discuss the month's research study in detail, train clinicians to learn how to critically appraise dysphagia research literature and discuss the clinical implications of the study with clinician Rinki Varindani Desai, to help clinicians integrate research with their clinical practice. 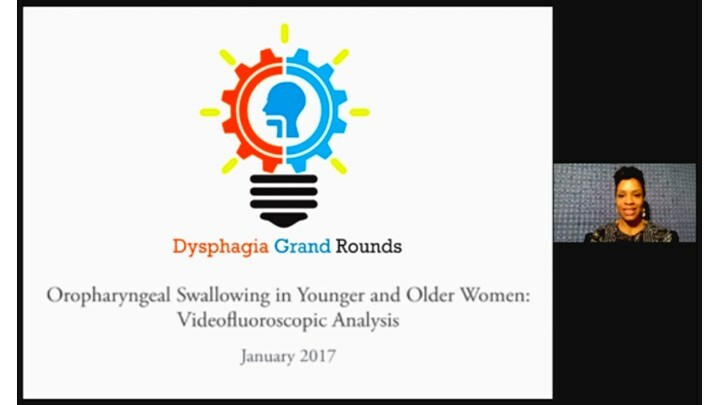 In this free webinar, Dr. Ianessa Humbert provides an introduction to Dysphagia Grand Rounds (DGR) and an overview of basic research methods and terminologies for dysphagia clinicians. 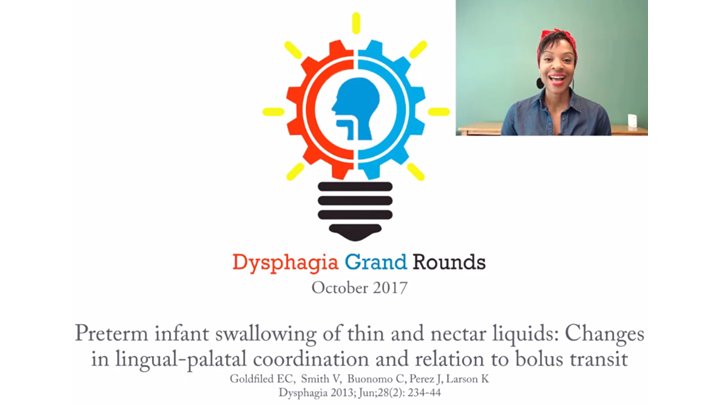 Watch this webinar before participating in the Dysphagia Grand Rounds series to have a better understanding of the anatomy of a research paper and commonly used statistical tests that will be discussed in DGR articles and courses throughout the year. 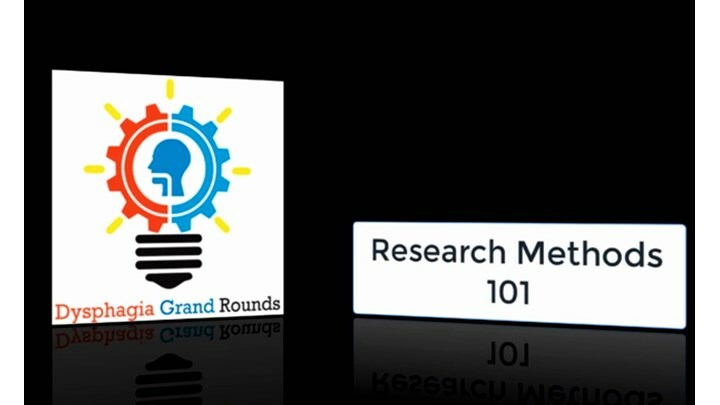 Note: This course includes excerpts from the DGR 1 webinar. The objective of this study was to compare the outcomes of two tongue resistance training protocols. One protocol (“Tongue-Pressure Profile Training”) emphasized the pressure-timing patterns that are typically seen in healthy swallows by focusing on gradual pressure release and saliva swallowing tasks. The second protocol (“Tongue-Pressure Strength and Accuracy Training”) emphasized strength and accuracy in tongue-palate pressure generation and did not include swallowing tasks. A prospective, randomized, parallel allocation trial was conducted. Of 26 participants who were screened for eligibility, 14 received up to 24 sessions of treatment. Outcome measures of posterior tongue strength, oral bolus control, penetration-aspiration and vallecular residue were made based on videofluoroscopy analysis by blinded raters. Complete data were available for 11 participants. Significant improvements were seen in tongue strength and post-swallow vallecular residue with thin liquids, regardless of treatment condition. 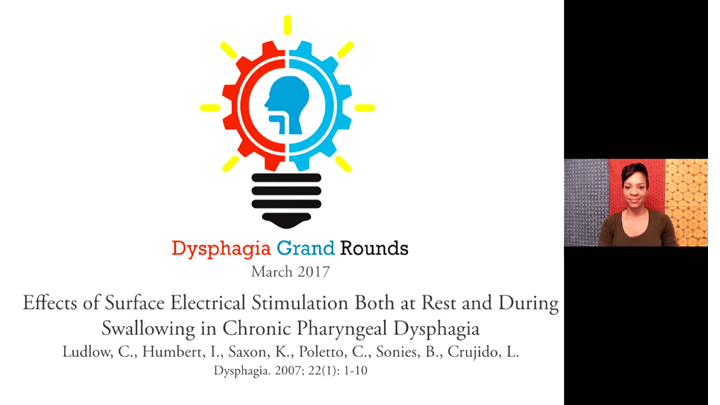 Stage Transition Duration (a measure of the duration of bolus presence in the pharynx prior to swallow initiation, which had been chosen to capture impairments in oral bolus control) showed no significant differences. Similarly, significant improvements were not seen in median scores on the Penetration-Aspiration Scale. 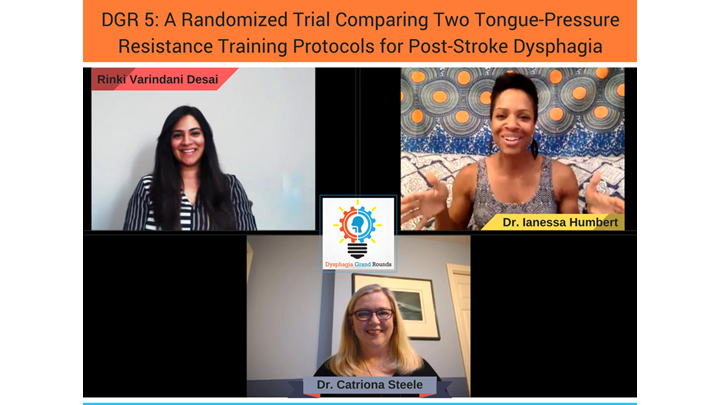 This trial suggests that tongue strength can be improved with resistance training for individuals with tongue weakness following stroke. We conclude that improved penetration-aspiration does not necessarily accompany improvements in tongue strength, however tongue-pressure resistance training does appear to be effective for reducing thin liquid vallecular residue.